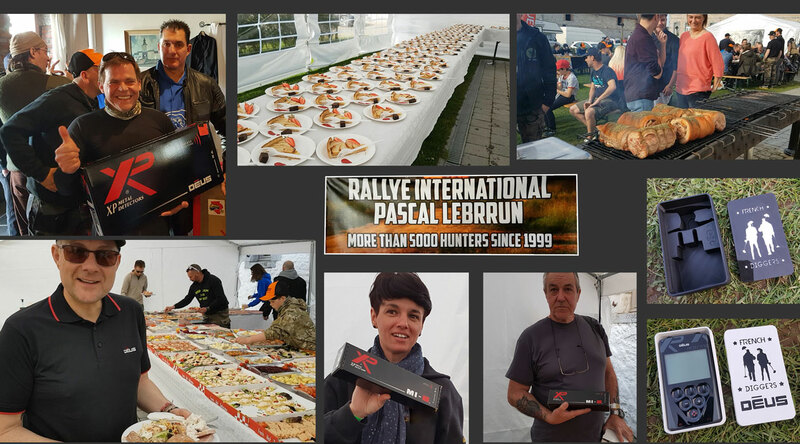 XP metal detectors were kindly invited to attend the Pascal Lebrrun rally in Belgium, it was gratefully accepted as this would be another opportunity to meet our customers, offer assistance, answer questions and above all thank them for supporting us and our products. The rally got underway and everyone met up at base, which was a large farmyard with refreshments and seating…however this was just the meeting point, the fields were 6 kilometres away, the rally organisers had arranged buses to take everyone to the site, which was a massive task for over 400 people, but everything went to plan. 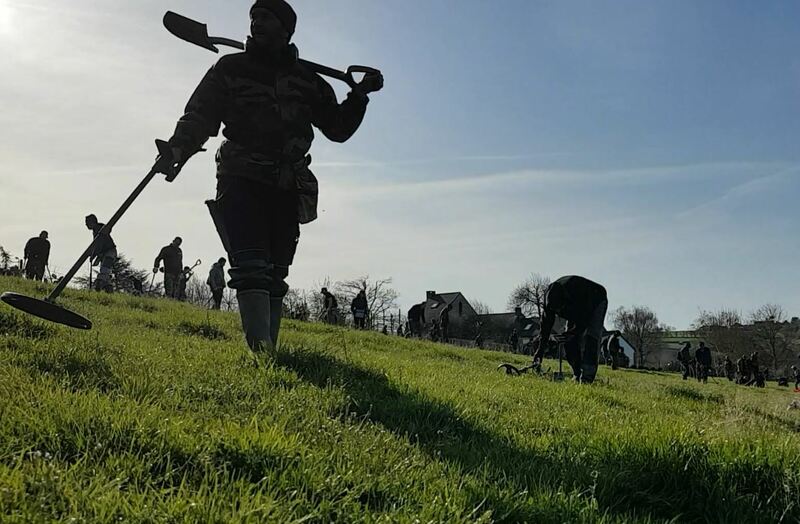 Pascal was a very respected member of the metal detecting community, he worked very hard to maintain a strong relationship with the Belgium authorities and Archaeologists, very much like a one man NCMD or FID. His life ended tragically when a WWII bomb exploded. 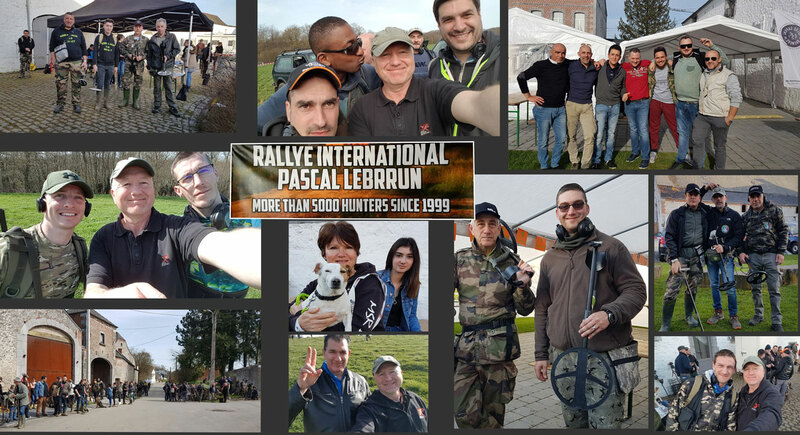 The original Pascal Lebrrun rally was held so his family could pay for the funeral expenses and help financially support them, now the event has continued and still sealing bonds between metal detector users and the Belgium archaeologists. The rally fields were perfect, with gentle grass slopes easing down to a river, there was even an ancient cave at the bottom. 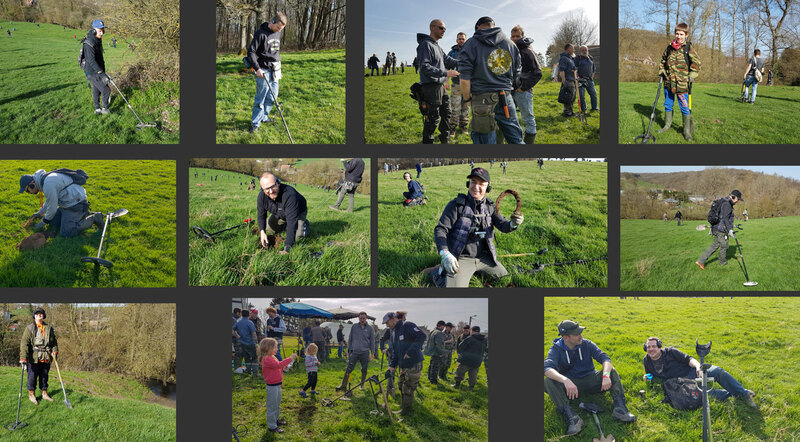 Unlike UK rallies, there are strict laws in Belgium regarding metal detecting, so the event was based around finding buried tokens and then exchanging them back at base for prizes, kindly the local Archaeologist was on site to identify and record any natural finds that were discovered. The token hunt started with a mad rush, spirits were high and it was clear everyone was having fun, cold beers were available all day I think this was just to cool everyone down as it was over 20 degrees in the sun. After the first event, everyone caught the buses back to base for a gourmet standard amazing lunch, followed by apple pie and the first token exchange and the raffle draw, then it was back to the fields for the second hunt. This was a different field, once again with an ancient track running through it and breathtaking scenery. 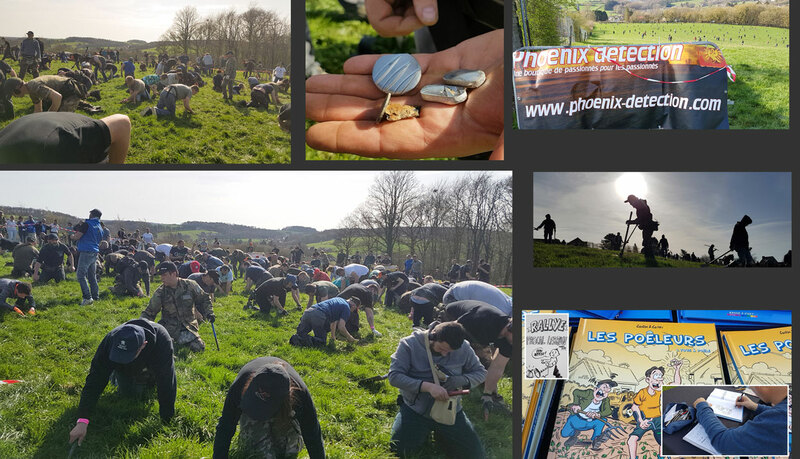 The second token hunt ended after 2 hours and it was then time for something we had never seen before….A pin point only hunt. This consisted of a roped off area with buried chunks of metal, the aim was to find as many targets as possible with a pin point probe, the rules were you could not stand up during the hunt, I think this was a welcome challenge for those who had been drinking since 8.30 in the morning. This indeed was the event of the day and so much fun. After the pin point hunt had ended it was time for the final prize draw back at base, some fantastic items were on display, then it was time for more food. This time it was a barbecue once again to the highest standards, we continued until about 10.00 o’clock and that was us finished, but the party was still going way beyond that. 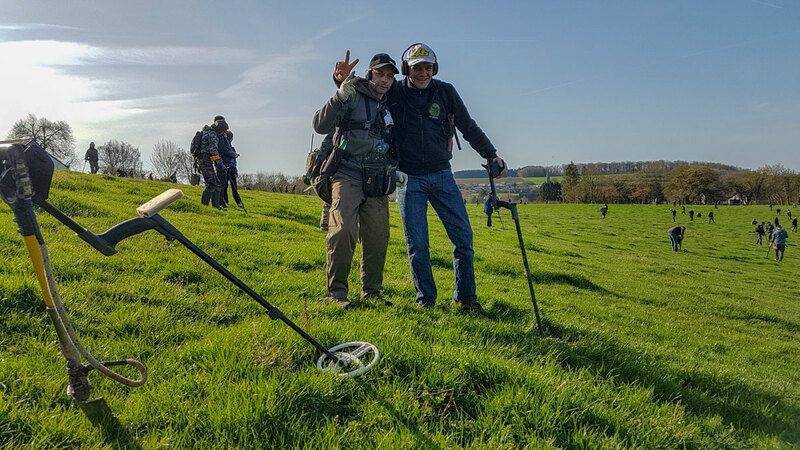 What a fantastic event and a massive thanks to the organisers who worked so hard to make this happen, it was good to see that at least 80% of detectorists were using XP, everyone I talked to were more than happy with our products and had no intentions of changing. Thanks for all your feedback regarding future requirements and a massive thanks for your warm hospitality and for supporting XP, we hope to meet up with you all again very soon.